Joe Biden and Paul Ryan captured 51.4 million total viewers four years ago, the last time we had running mates battling for the future of the country via a veep debate. That’s a ton of eyeballs — compared to anything but Trump/Clinton’s recent must-see-TV — but it’s neither the record nor the runner-up for the runner-up to lead the country. The distinction of the top slot for a vice presidential debate unsurprisingly belongs to Biden and Sarah Palin, who drew a whopping 69.9 million total viewers in 2008. For some additional context, that was actually 6.7 million more viewers than the main players Barack Obama and John McCain got with their top battle that year. That, folks, is what we call a sideshow. As a matter of fact, aside from a tie with George H.W. Bush, Bill Clinton and Ross Perot in 1992, the only pre-Trump presidential or VP debate to ever best Palin’s big moment was Jimmy Carter-Ronald Reagan in 1980 — the former grandaddy of them all, with 80.6 million total viewers. Last Monday, Donald Trump and Hillary Clinton pulled in 84 million total viewers with their kickoff bout. 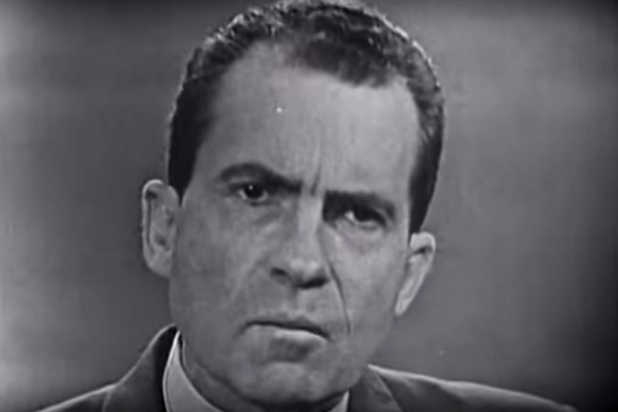 Click here to check out each televised Commander-in-Chief debate, ranked historically by Nielsen ratings. Trump-Clinton 2 takes place on Oct. 9, with the final debate set for 10 days later. 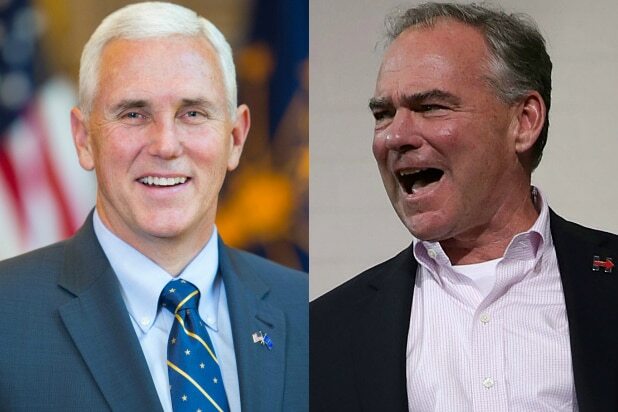 Tomorrow night, unforgettables Mike Pence and Tim Kaine get their lone shot to make their mark on TV ratings history. 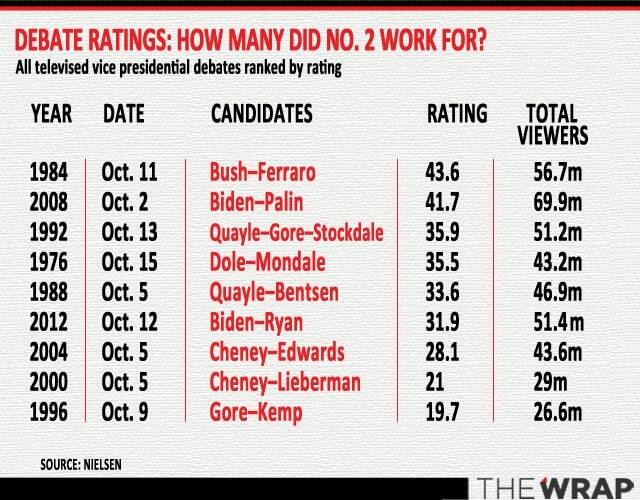 While they’re unlikely to broach Palin-Biden levels of viewership, the highest rating for a vice presidential debate actually belongs to the 1984 showdown between George H.W. Bush and Geraldine Ferraro. Below is what Kaine and Pence are competing with, ranked by rating. Also Read: Good Luck Against Tonight's Presidential Debate, Rest of TV!